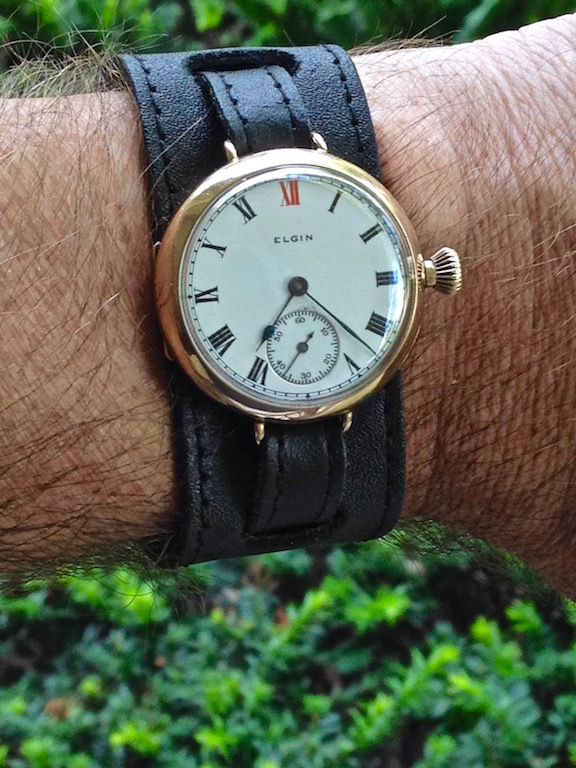 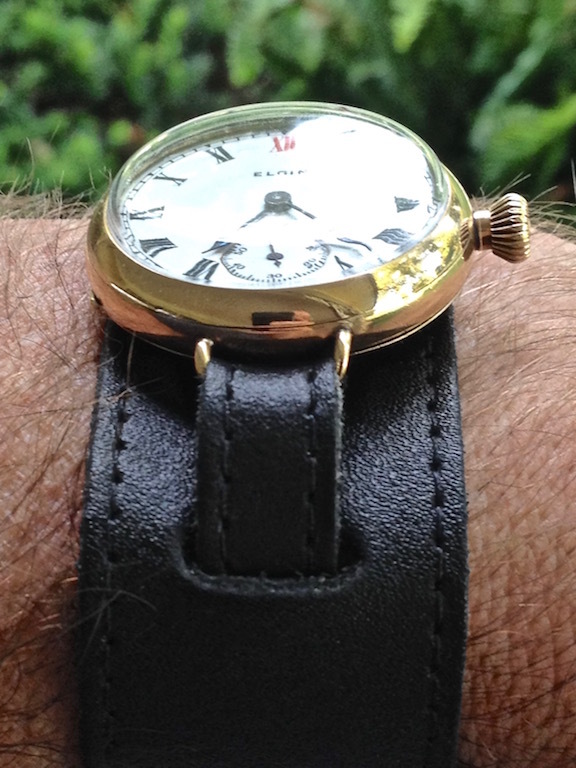 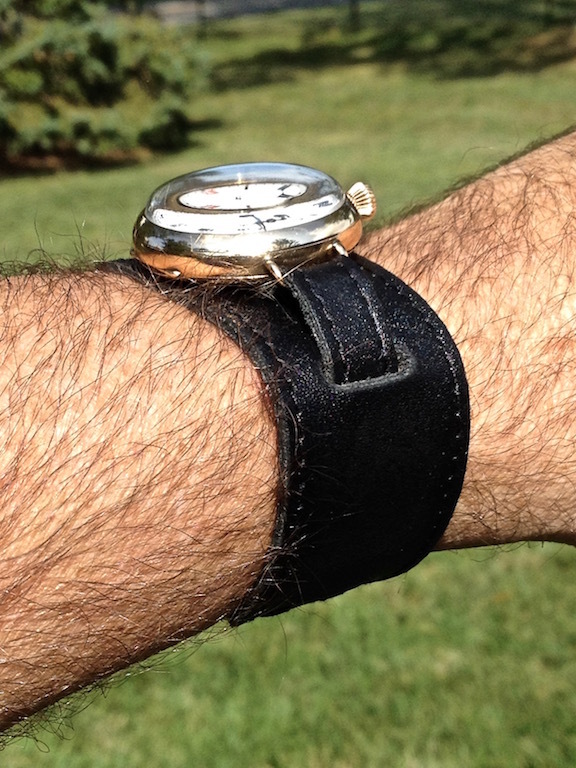 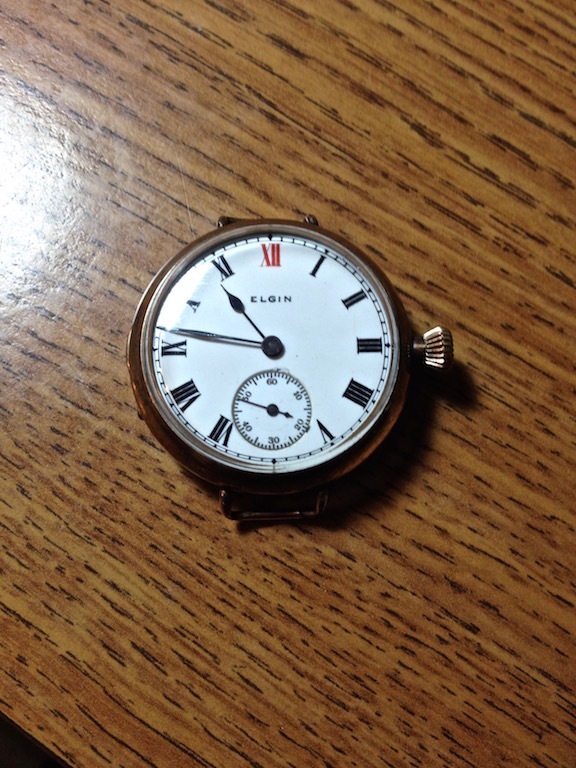 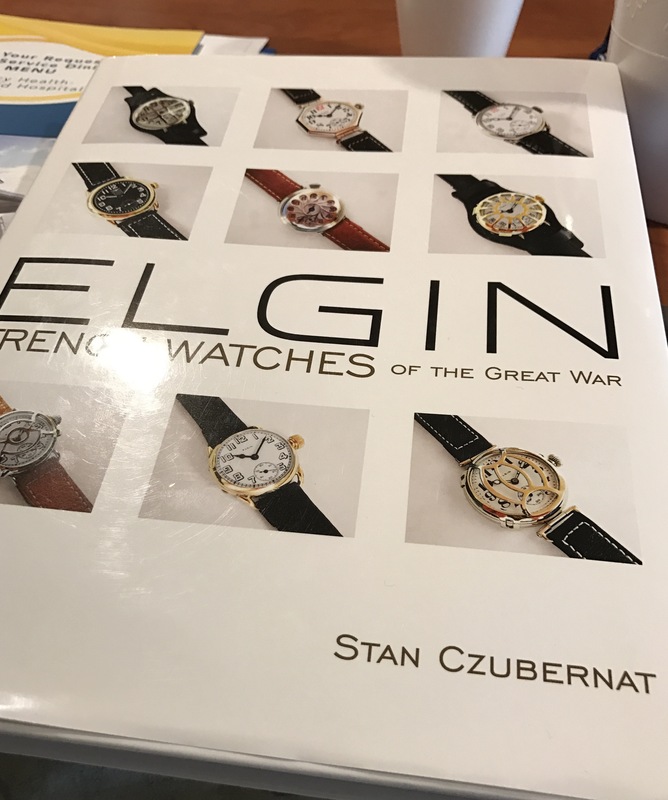 WW1 Trench Watch | Grumpyguy Inc.
Stan Czubernat, author of “Elgin Trench Watches of the Great War” gave me his expert description of my trench watch. 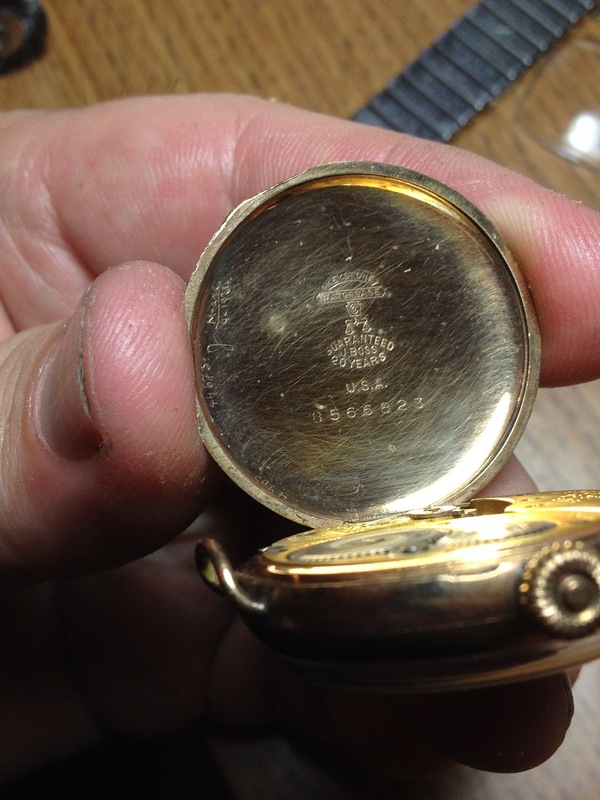 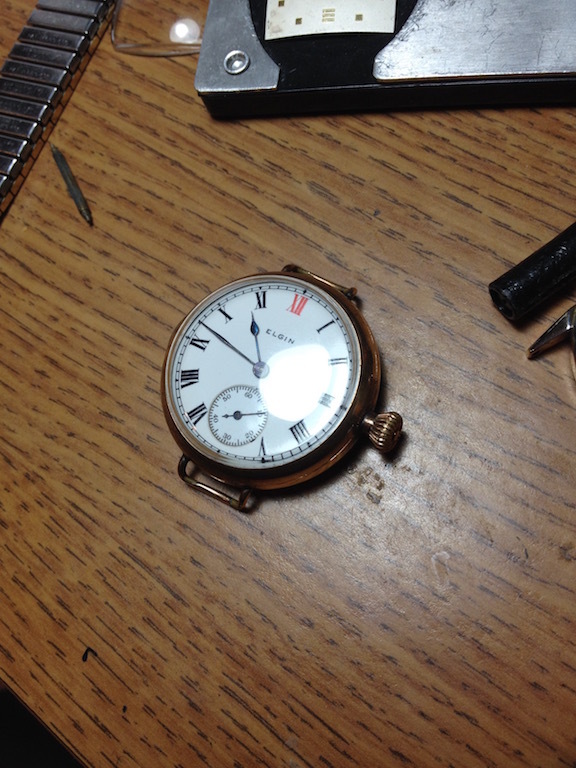 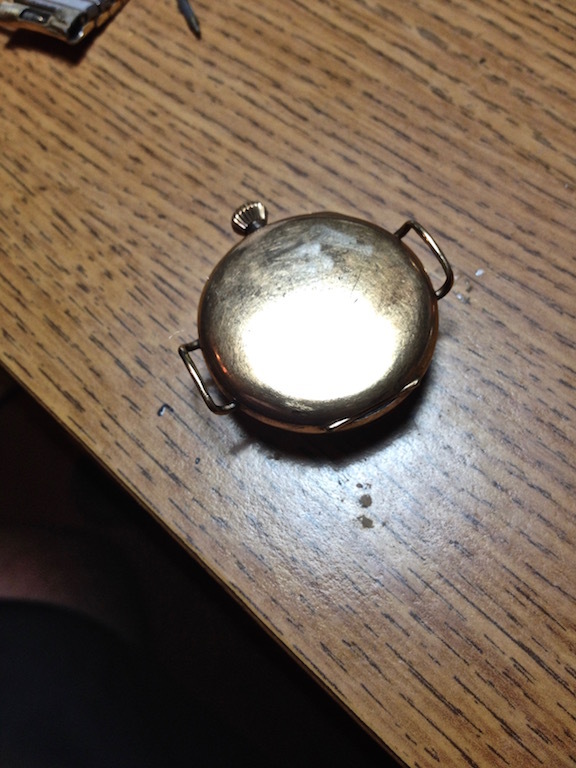 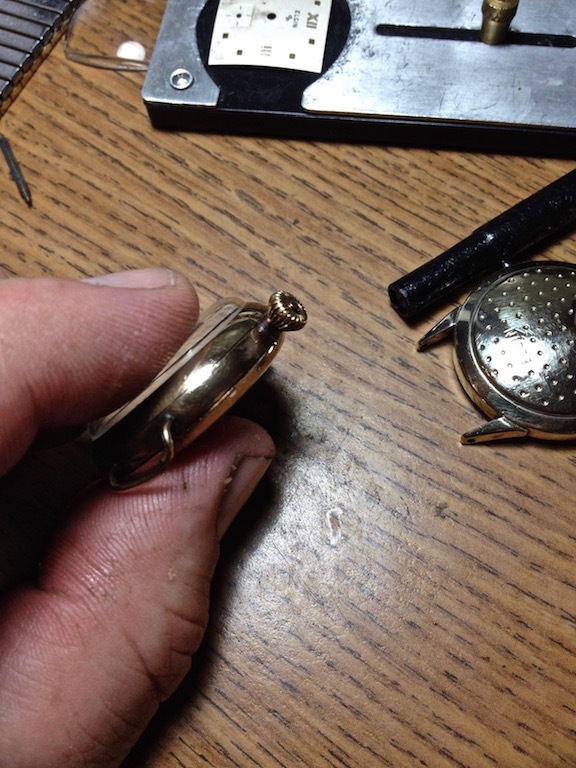 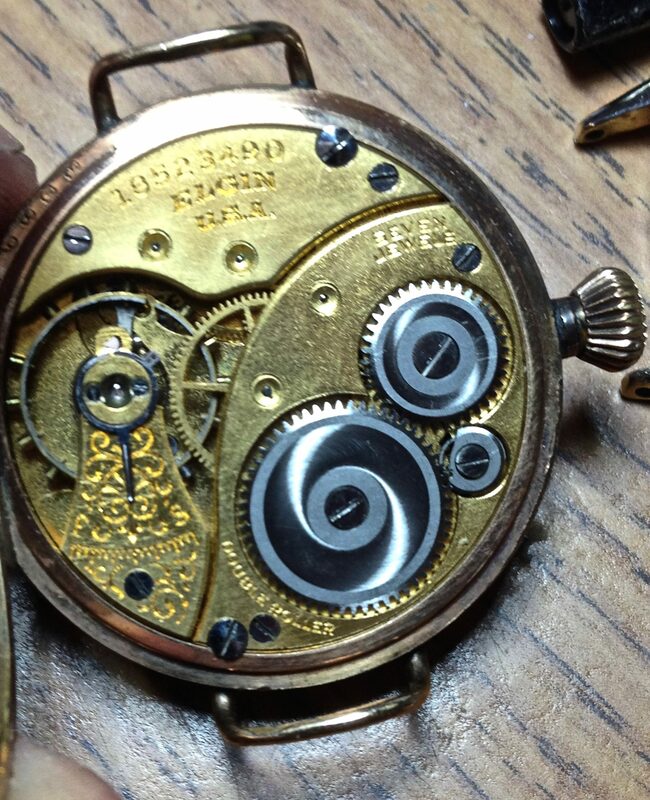 Original factory crown, case hinge looks to be in great condition, bigger size 0s version, 7 jewels, grade 298 movement. 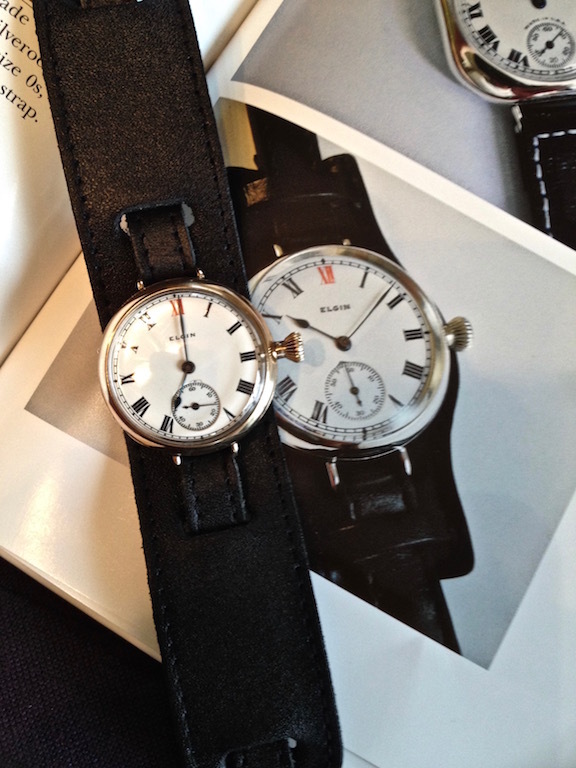 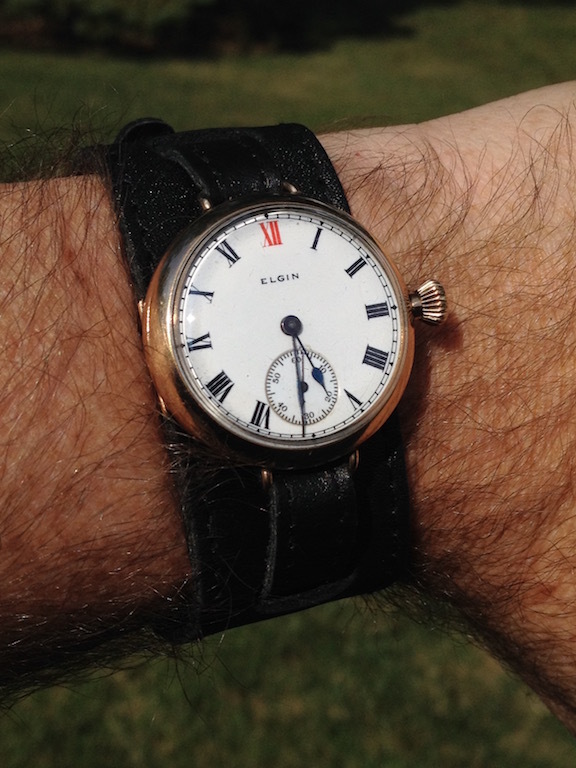 Enamel RED XII Roman numeral dial and those hands are 100% correct for that dial, second hand is the correct one too. 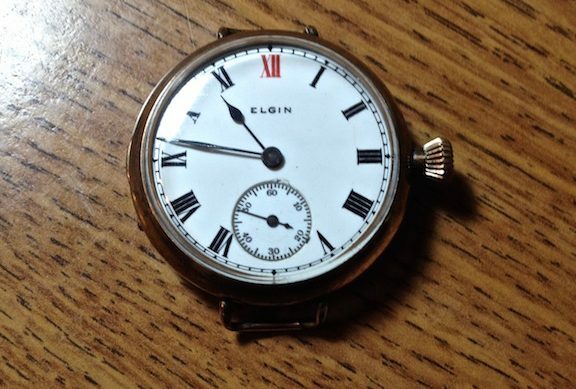 This dial came in two different styles, the thin font which is what you have here and the BOLD font Roman font that is twice and thick. 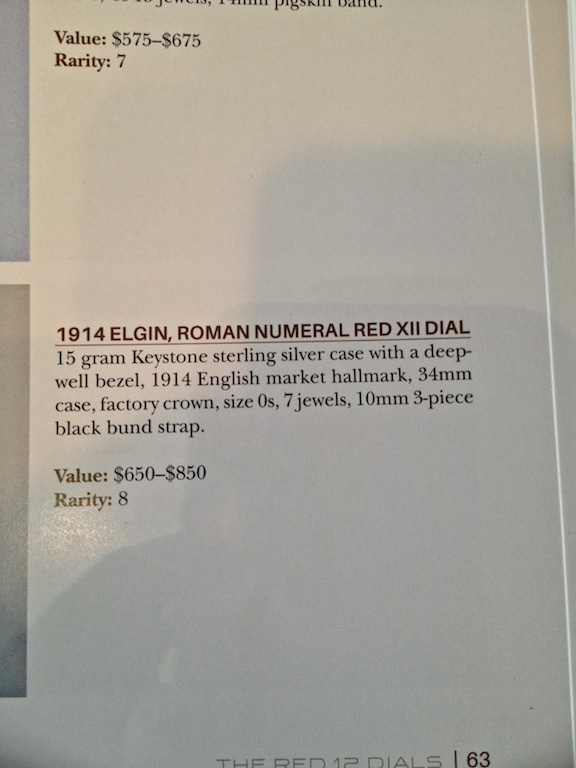 Also, you can see I found it in his book.